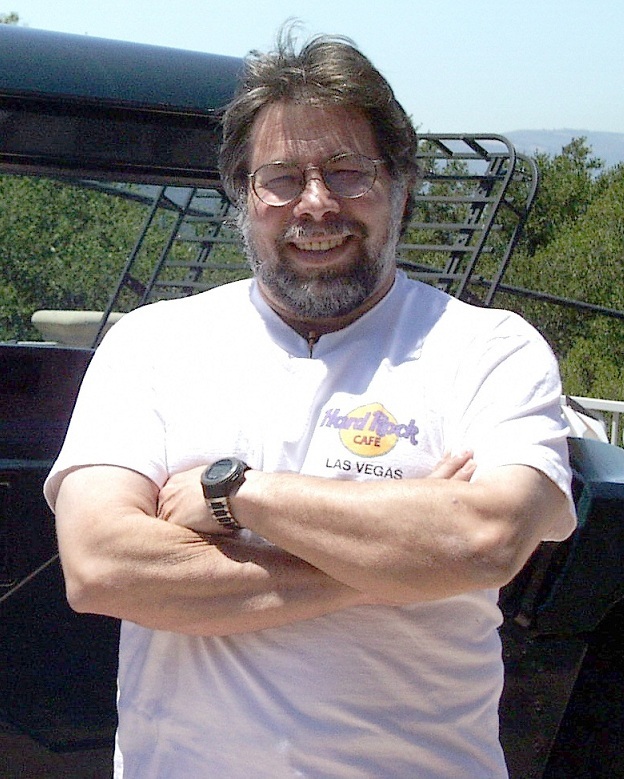 Stephen Gary Wozniak (Woz) was born back in 1950, on August 11th in San Jose in California. His father Jacob Francis Wozniak had graduated from as one of the best students of the Columbian University Information Technology and he was actually the one who inspired the young Steve to become a guru in electronics. Since he was a very little boy, Wozniak junior spent a lot of his time in his father’s workshop, which was a place full of all kinds of electronic parts. He became very interested in what his dad was doing and wanted to learn how transistors, diodes and the other electronic components worked. Jacob was more than happy to explain everything to his son. This is how Steve became a wizard in electronics when he was just in fourth grade. During that time he spent most of his times working with a circuit board, instead of playing with the kids from the neighborhood. When he was in 8th grade, he constructed a calculator, with which he won the big prize in a local competition. With the time passing, Woz was getting more and more indrawn. Most of his time he was in his home reading magazines about electronics and building small widgets, while his mates were chasing girls and having fun. This was hard for him and he was doing mischievous as a response. One day he placed a ticking device in his locker in school, trying to make his schoolmates think that this was a bomb. The same day he was called to appear in the director’s office. When he got there, he saw several policemen waiting for him. The director accidentally went by that locker, heard the ticking sound and actually thought this was a bomb. This is how the young Steve was sent to jail for one day. But this didn’t make him reconsider his behavior. There he taught his cellmates how to use the wires powering the fan in the roundhouse and attach them to the grating, so everyone who touched it would be shaken by an electric shock. After high school, Steve Wozniak wanted to continue his education at the University of Colorado. That would be expensive for his family, but he managed to persuade his father to let him study there. While he was there, he spent a big part of his time doing impish things, that he couldn’t pass two of his exams and had to drop out. He continued studying in the De Anza College in California but dropped out again after a year there. So Wozniak Junior decided to get a job, so at least he could make some money. He was hired by a local computer manufacturer and this was actually his first job. There he got an interesting offer from one of his colleges – to build one of the computers he had planned on paper earlier. Woz accepted. He started work on the project with a friend of his named Bill Fernandez, who was still in high school. They worked in the garage of the Fernandez family. While building the computer, they had big quantities of lemonade as a refreshing drink. This is why they decided to call it ‘the lemonade computer’. When the computer was ready, Bill Fernandez told to Steve Wozniak that he had to meet one of his friends at all costs. This guy’s name was Steve, too, and he also liked to create different electronic widgets. This is how happened during one of the meetings that would later change the world – Steve Wozniak met Steve Jobs. They met for the first time in front of Bill’s house. They almost immediately liked each other, because they had so much in common, especially in the field of electronics. One day in 1971, Steve Wozniak came across an article entitled ‘The Secret of the Black Box’, in which he read about how some hackers and computer gurus had found a way to make free phone calls, by copying and playing the tones that redirected the calls. So Woz called the other Steve immediately. They both researched the matter and decided to start producing and selling such blue boxes in order to make some cash. This was the first time they did some business together. Jobs and Wozniak managed to build around 100 blue boxes and sold almost all of them at $150 each. This is how they learned to work together. Jobs once said that if there wasn’t the blue box, there would never have been Apple Computers.